Hello creative friends, Happy Friday! 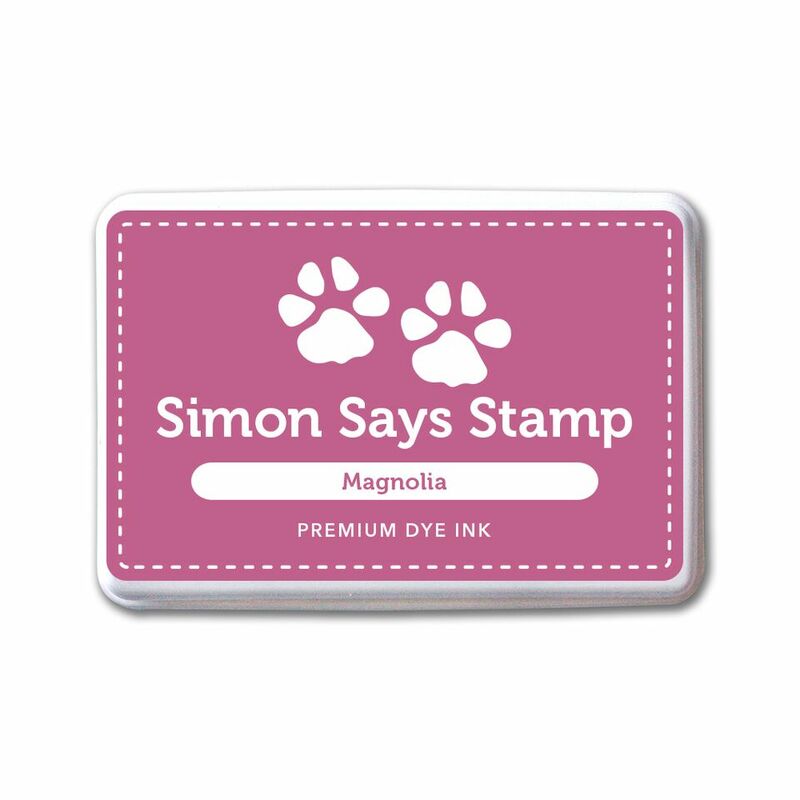 Are you hopping along in the Simon Says Stamp Friendly Frolic release blog hop? I am so excited to be one of the stops in this 2-day hop (visit Simon’s blog tomorrow for day 2)! 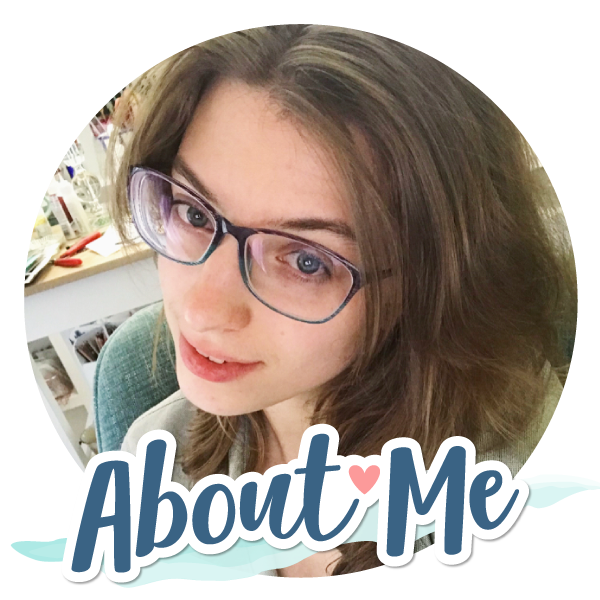 If you have already been hopping along, you should have arrived from Amanda Korotkova’s blog. Full hop order is listed below! Practice your brushstrokes on a piece of scrap paper before going directly to your paper. This will also familiarize you with how your brush handles and the most comfortable way to hold it. 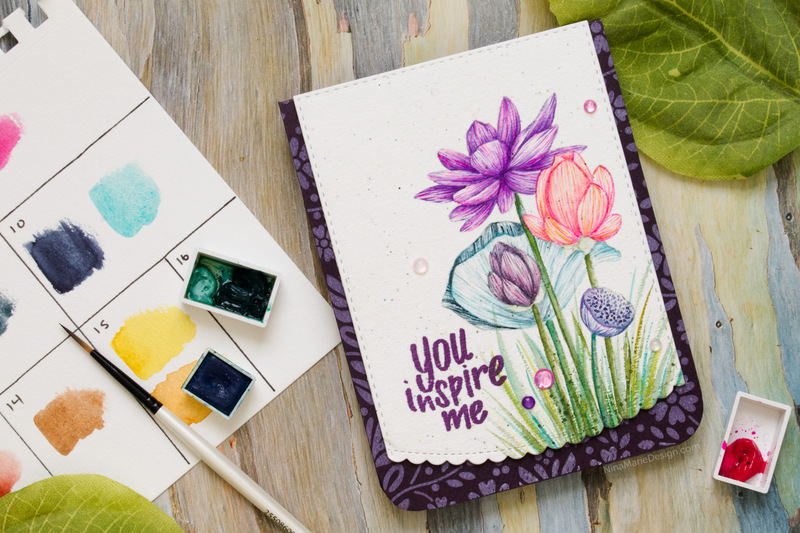 Pull watercolor from your half pans over a temporary palette and work with the small, damp puddle of pigment. Make sure your brush is not oversaturate; use as little water as possible and shape your brush into a point as you dab the water off. I’ll show you these keys in the video, which I have at the top of this post. 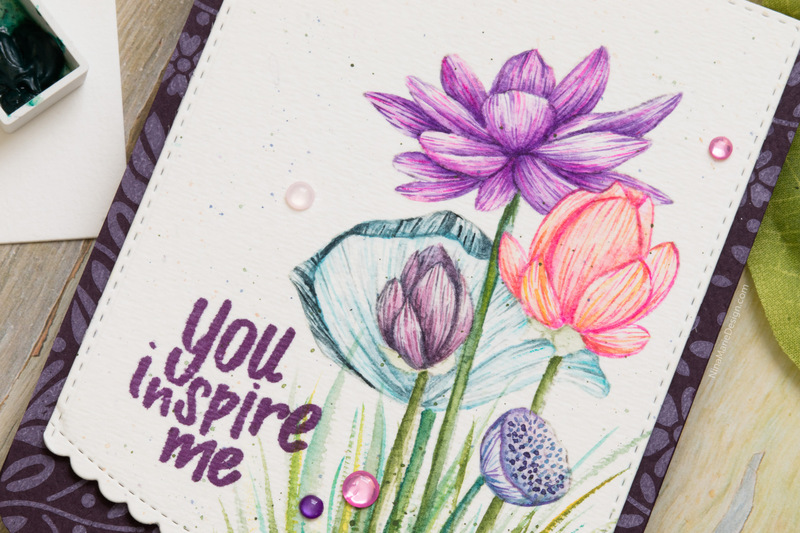 After watercoloring the Sketch Lotus Flowers with my detail watercoloring, I stamped a greeting using the Uplifting Sentiments stamp set; both of these are new stamp sets from Simon’s Friendly Frolic release. 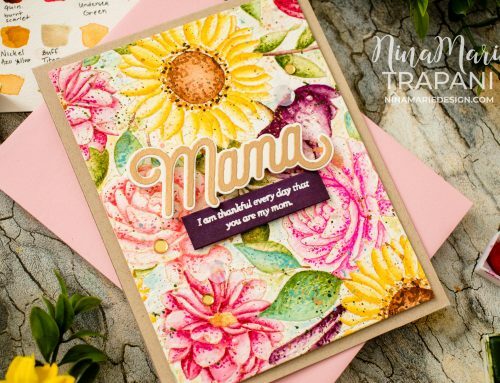 There are a few Hawaiian Sunset sequins scattered on the card, and my card base is stamped with the also-brand-new, Folk Dance cling stamp using white pigment ink on top of Velvet cardstock. I had so much fun with the detailed watercoloring, that I created a second card using the same technique! This time I challenged myself even more by using as few colors as possible to do my watercoloring. In total, I used only 6 different colors, and acheived new hues and tones by mixing my colors together. 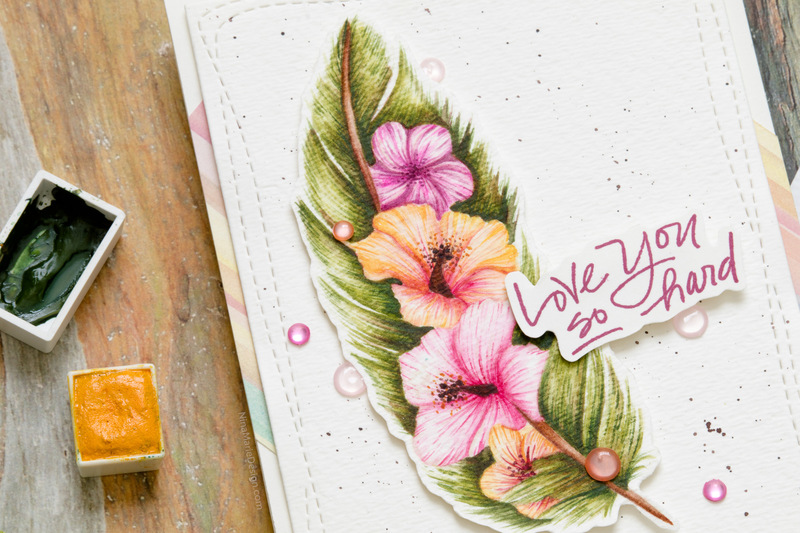 The stunning hibiscus flowers are part of the new Earth Has Music stamp set that Simon released in their Friendly Frolic collection. I adore the images, which were all illustrated by the talented Stephanie Low. I kept the card super-simple, because this coloring was SO detailed. 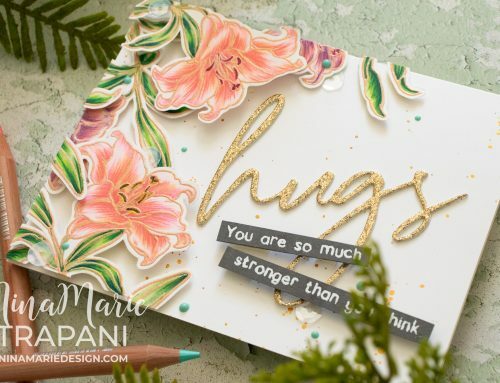 There is a sentiment from the Uplifting Sentiments set (a new favorite of mine now! ), and I included a few sequins on this card too, which are from the Hawaiian Sunset confetti mix. Simon will choose the winners at the end of the weekend and annouce them on Wednesday on the Simon blog. I hope you enjoyed the cards I’ve shared today and are inspired to try this technique for yourself! Don’t forget that there are lots more inspiration to see along the hop! Your next stop is my talented friend, Jessica Frost-Ballas! 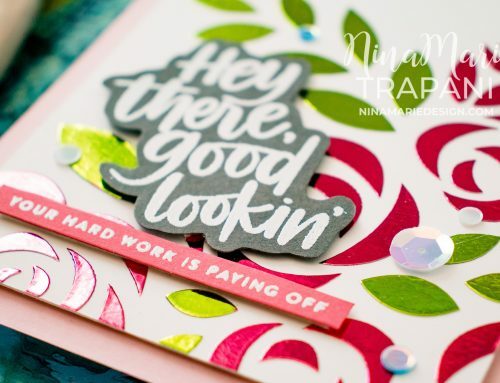 Nina-Marie Trapani – you are here! Thank you so much for visiting with me today! I will be back again very soon with more inspiration to share! well, I missed this blog hop, and somehow missed it on YT, but I found it today and learned a lot. I am marking this one for future reference. Now I want to go find a pretty flower stamp and try this out! The results are stunning, and the card recipient doesn’t need to know that I am not a genius! Thanks so much. Your cards are phenomenal and the video so helpful!!! I like the way you showed how to keep the shape of the brush and other tips for watercoloring. So many others talk about things like that but this is the first video I’ve seen where someone actually demonstrated that information. It was so helpful!!! Thank you! Your water coloring is gorgeous. That second card is gorgeous! Love the coloring of it. Thanks for showing the reality of a different stamp set. I’m a sucker for watercoloring! Oh my gosh, these cards are so pretty. Your watercoloring tips were so informative, thank you! 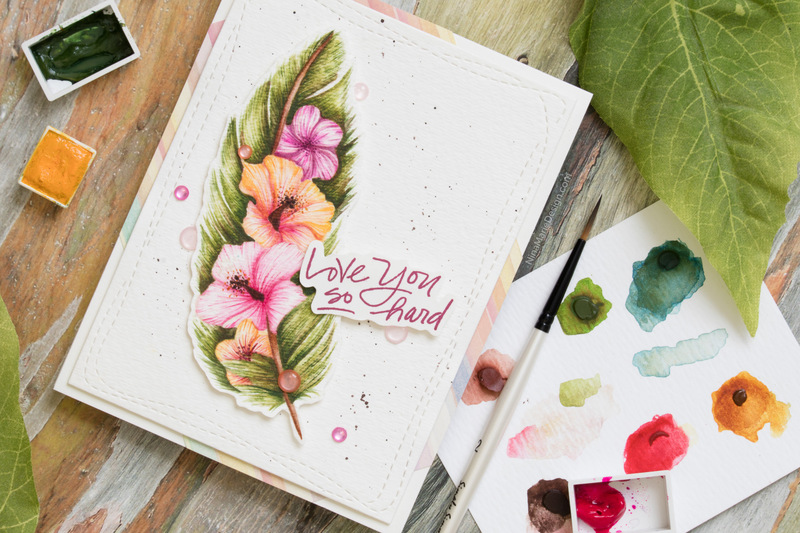 Your techniques really made those flowers and especially the feather come to life! 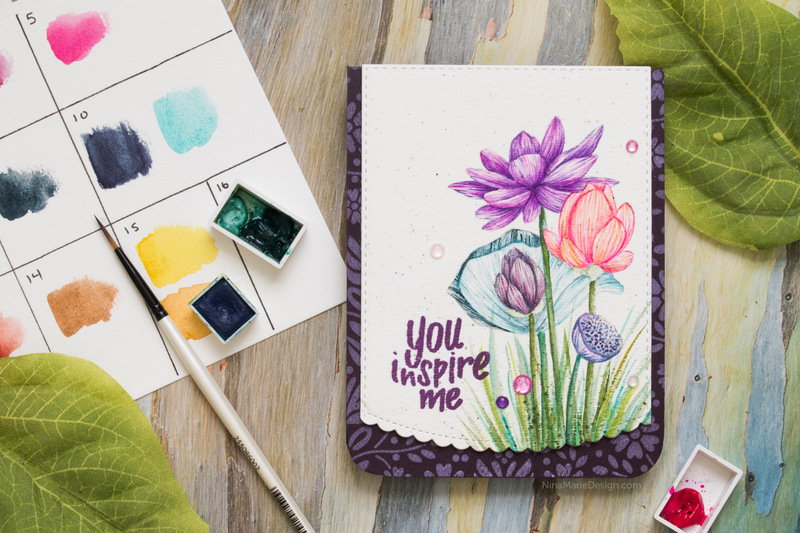 This new release has so many amazing stamps, but thes sketchy lotus flowers are my favorite! Lovely cards–the more I see of these stamp sets the more I think I “need” it. Thanks for providing watercoloring tutorial. Would love to win gift certificate so I could get it. Thanks for inspiring me today! Wonderful cards! 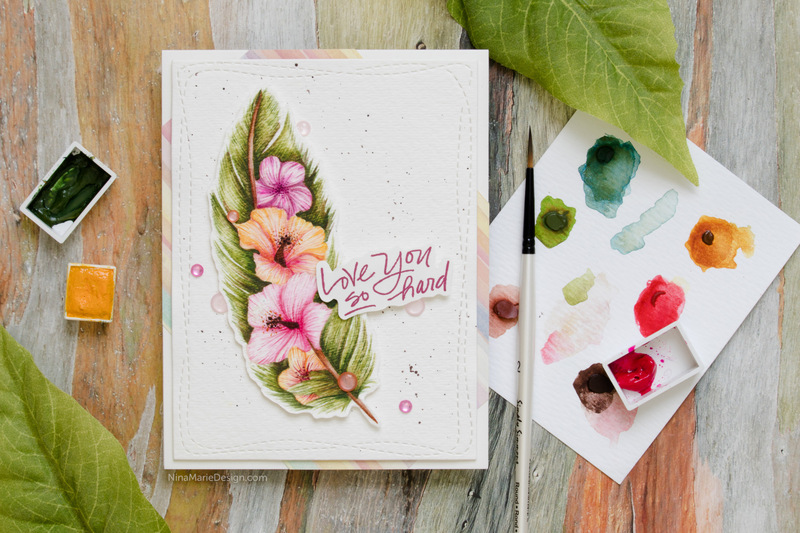 I love the gorgeous watercolouring you did, and the layers, especially the dark, patterned base of the first card. What fabulous cards!! The colors are FABULOUS! I love purple. Stunning cards; thanks for the tutorial! Great release! Awesome creations, I especially love the details you achieved with the thin brush. My oh my the feather card is beautiful. Oh wow your cards are absolutely stunning!!! !